With winter in full swing, 'tis the season for seasonal activities. One of the newest attractions this winter is Aurora Winter Festival, located at Concord Pacific Place in Vancouver's False Creek. Featuring a plethora of outdoor activities, Christmas theming, and local vendors, it's an aptly-themed festival. If you're looking for something that gently shoves Christmas down your throat less so than the Vancouver Christmas Market or you have kids too young for glühwein, this might be the festival for you. 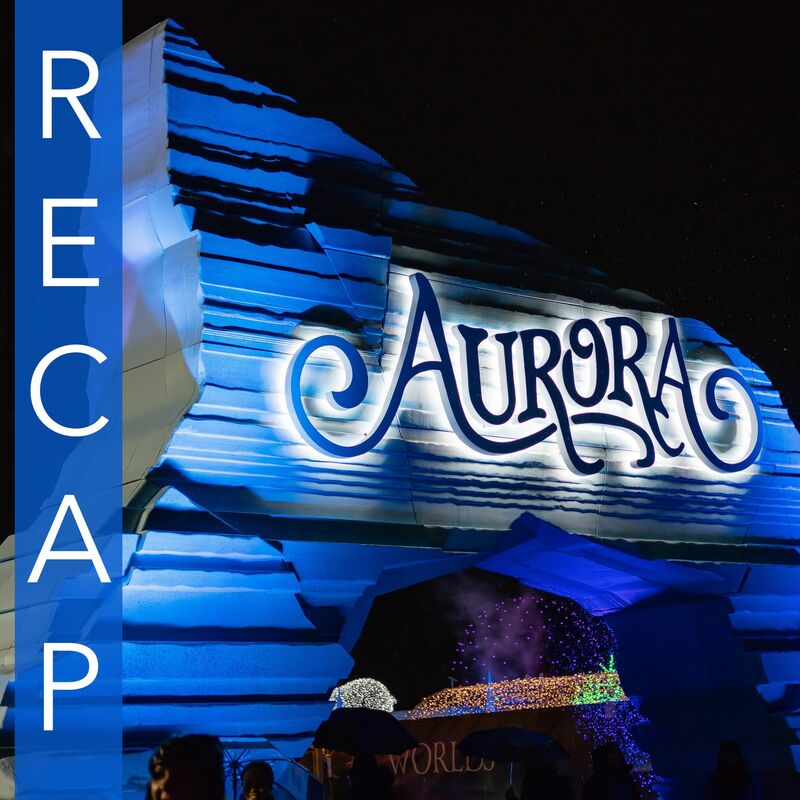 Disclosure: I attended a preview of Aurora Winter Festival as a media guest. All opinions are my own. The entertainment tent is a large covered venue specializing in bar service and musical performances. The vibe in here was pretty upbeat with folk/Christmas songs being the main theme. Mystical Worlds was my favourite part of the evening. This was a guided tour of a fantastical world adorned with light sculptures, ice sculptures, and a mini-maze. Here are a few photos from inside Mystical Worlds. Some of the light sculptures were pretty legit. If you take a look through the gallery below, notice some of the lights (e.g the floral petals) were purpose-built into the sculpture as opposed to the classic fashion of lining a metal frame with LEDs or tiny string lights. The Frozen River is a pretty cool attraction. It's not often that you get to skate outside with this much freedom (Robson Square can be a glorified highway of bumper-to-bumper skates). Access to skating is included with your ticket into Aurora and you can either bring your own skates or rent a pair for $7. If you're as bad as me at skating there are some helpful cones you can lean into for help. To accompany the outdoor activities, amusement rides are also a part of the mix at Aurora, the most magical of which would be the ferris wheel. At $4/ride (or cheaper if you buy more rides), this is cheaper than what you'd get at the PNE and arguably a better view as you'll get to look out across False Creek, towards Parq Vancouver, and Chinatown. If you're really savvy, you can enjoy the Vancouver sunset from the ferris wheel by arriving at Aurora promptly after it opens. Though you'll have to pre-emptively reserve a seat from one of the booths inside Aurora, a stop at Santa's Workshop is worth scheduling. Inside are scheduled storytelling sessions where Santa will visit from the North Pole, inviting children from the audience to participate in his fantastical tales. The whole room is themed pretty well so I think it's a great way to spend a half-hour if you're visiting with children. Other than the scheduled sessions, there are also craft stations inside the workshop. Tickets for Aurora Winter Festival can be found on the Aurora website starting at $15/person. Similar to Enchant a couple years ago, you'll have to purchase tickets for the night you intend to visit. Aurora runs until Dec 30th and opens at 4pm each night.